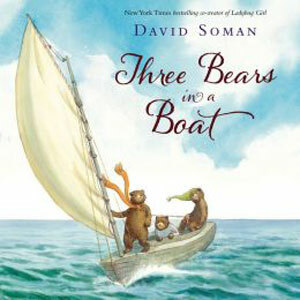 Three bears set off in a little boat to find a new shell to replace one they accidentally broke. 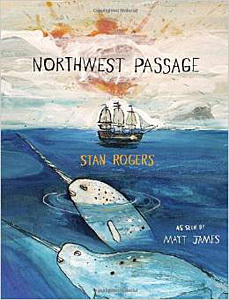 Adventures ensue: vast seas, huge whales, salty sailors, and a treacherous storm. This beautifully illustrated book also carries a lesson about taking responsibility for your actions. Ages 3 to 5. 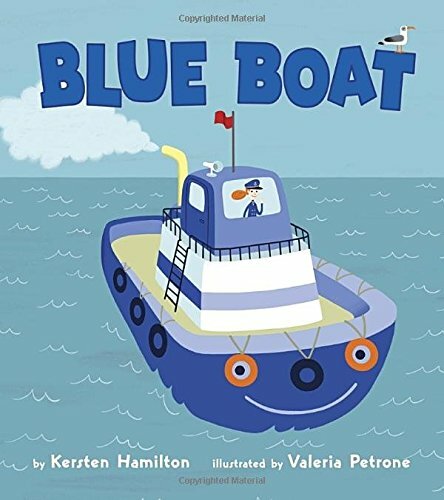 When a family on a sailing outing gets stuck in a surprise storm, there?s only one boat tough enough to handle the rocking waves and howling winds: Blue Boat! A rhyming book about a vehicle who saves the day. Ages 2 to 5. Around the gleaming channel, where the water?s deep and wide, tall ships stretch their sails and the ever so brave mighty tug leads the way across the waves. To the rescue in the busy, busy harbor, the little tug saves the day every time. 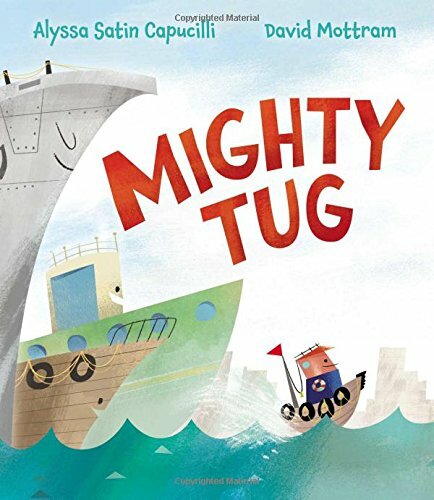 Mighty Tug is the smallest, strongest, and bravest boat of all. Ages 4 to 8. Stout Sam and his deckhand Pip were walking on the beach when they found a barrel washed up on the beach, with a pig inside. They name her Julie, and it turns out that she has an amazing talent: she can find treasure! Unfortunately, the famous pirate Barracuda Bill hears about this skill and adventures ensue! Ages 5-7. 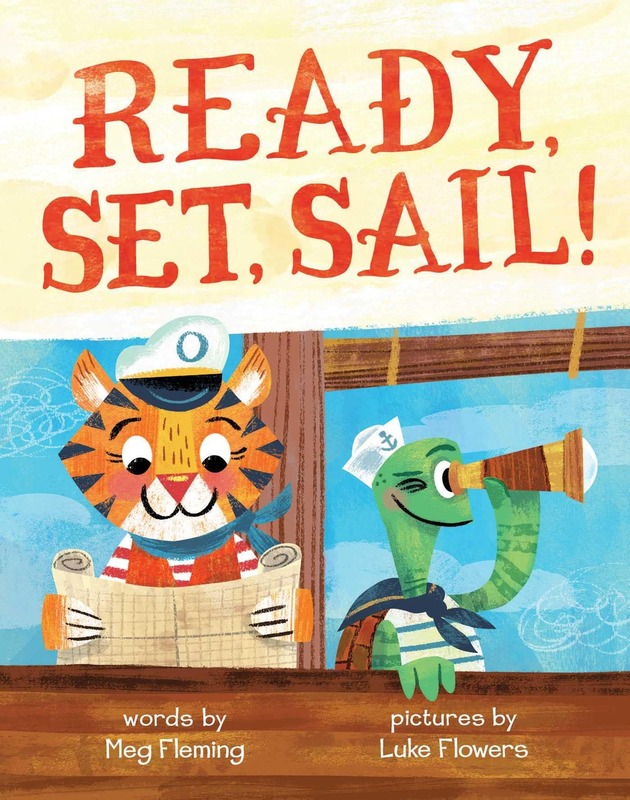 A rhyming book about a tiger and a turtle on a happy day cruise. 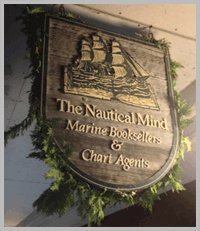 Follow these salty sailors as they haul up the anchor, raise their sails, and explore the sea. After their long day on the water, they share tales of all the things they've seen! "Shout your orders loud and fast. Hoist the mainsail up the mast!" Ages 2 to 5. 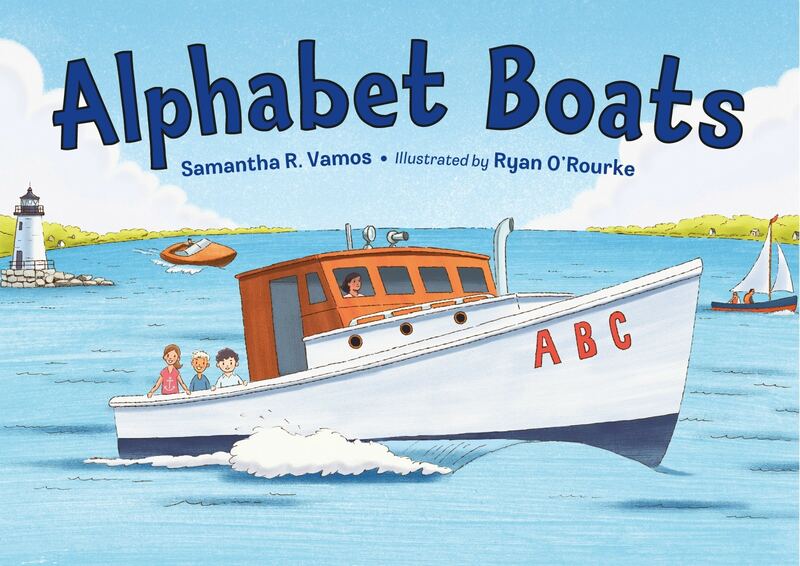 The classic story of a happy-go-lucky tugboat who becomes a hero. Ages 4 to 6. 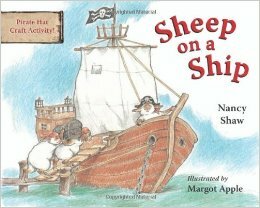 The zany, rhyming misadventures of a group of sheep on a pirate ship. Great fun to read aloud. Ages 2 to 3. Discover twenty-six types of vessels--A to Z--from the common to the unusual . . . canoes, motorboats, Q-boats, umiaks, and more. The colourful letters are hidden (and not-so-hidden) in the illustrations. Ages 2 to 5. A step-by-step illustrated guide to tying 23 useful knots, hitches, ties, and wraps. The book's board pages are die-cut so that each knot can be practised next to its illustration using (included) lengths of nylon cord. 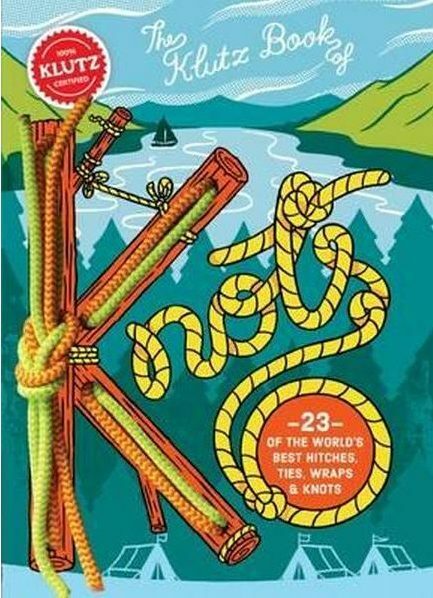 Any knot enthusiast aged 8 and up can learn from and have fun with this little volume. 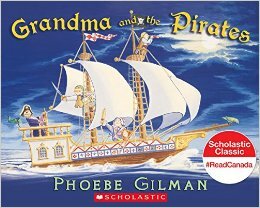 It was because of her wonderful noodle pudding that Grandma met the pirates... Join Grandma, Melissa, and Oliver for a rollicking adventure as they take to the high seas with three hungry, savage pirates. A favourite with every grandma! Ages 5 to 8. Winner of the Governor General's Literary Award for Children's Illustration. 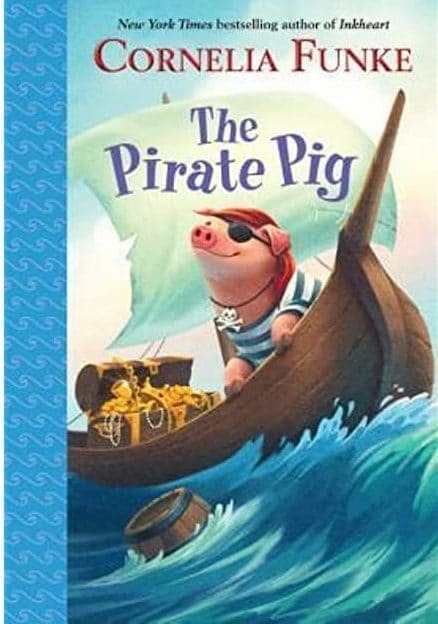 The words in this charming book are the lyrics of the classic Stan Rogers' song of the same name (an all-time Nautical Mind staff favourite). Matt James brings the story to new levels and new audiences with his beautiful and evocative illustrations. Ages 10 and up.